How To Enjoy Economic Performance From Your Car? The fuel prices are hiking at jet dynamic speed across the country in current scenario as an impact of hike in the prices of crude oil. It is believed that if there is no decline in the cost of crude oil in the international market there would be more hike in fuel prices during coming days. This is creating the lines of tensions on the faces of car owners as going through the average of 15 kmpl to 25 kmpl delivered by the vehicles in India, if driven under standard condition, the actual performance delivered by the cars is quite low. Going through this problem, the car owners have started searching for either optional sources of the transport or taking vehicles to the mechanics for improving their fuel efficiency. Interestingly, if they try to improve their driving habits they could easily witness amazing changes in the fuel consumption figures of their vehicle. 1. Fill appropriate air pressure in the tyres: Always try to fill the air pressure as suggested by the original manufacturer of car to not only enjoy the comfortable drive but also to enjoy substantial fuel economy. The inflated tyres results in the friction which indirectly results in the unnecessary loss of the kinetic energy. To improve the fuel efficiency figures you can increase the pressure of air in the tyres up-to certain PSI. Doing this smoothens the side walls and also minimizes the contact patch of the tyre. This although is a good trick to enjoy improved fuel efficiency but it also results in blowouts if the tyre are inflated and lowers the grip, therefore it would be better to do not adopt this trick. 2. Do not carry heavy luggage: Going through the huge boot space it is seen that lots of car owners try to carry heavy bags with them along with huge fleet of their family members. Now, as every member has to go out in the car it would be better to ask them to take necessary items with them so as to avoid useless burden on the car. Here, one thing which needs to be kept in concern is that never try to take out the spare wheel and necessary tools from the boot space as you might feel their need anytime without any prior notice. 3. Get your car serviced at regular intervals: There are lots of motorists who feel that getting their car serviced once a year is enough to enjoy its economic performance. If you are also among one of them, then you making a big mistake. Because as there is decline in the performance of every machine due to its regular wear and tear, the machinery of your car is not an exception to it. Checking the level of oil and coolant at regular intervals will help in improving the fuel efficiency of the car to certain extent. Along with this, replacing the air filters, fuel and oil filters also play an important role in offering improved fuel performance. Apart from these factors checking the condition of spark plugs could also help in improving an overall performance of the vehicle. 4. Try to park your car in shade: Driving a car without an air conditioner is generally not possible in the situation when the temperature is about 50 degree. The exterior temperature makes the interior temperature excessively hot and an air conditioner will require enough time to cool the interior of the car after it is switched on. This adversely puts additional pressure on the air conditioner of your vehicle. To avoid such problem it would be better to park the car in shade. 5. Drive in correct gear: There are lots of people who think that driving at the high gear helps in improving the fuel performance figures and therefore keep on changing gear as soon as drive their vehicle. Driving the car in right gear at right RPM is helpful in enjoying improved fuel efficiency, especially if you have to drive in high traffic conditions. 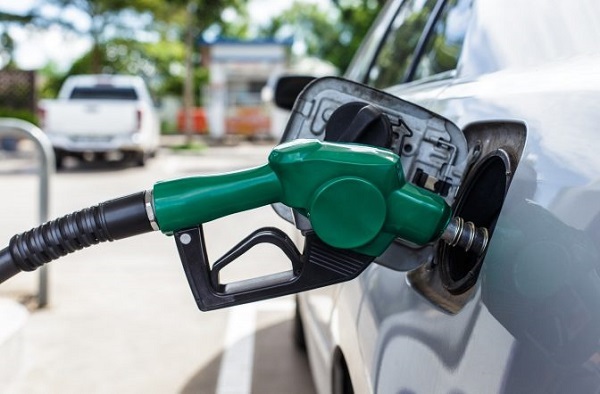 Following the above mentioned guidelines could help you in enjoying the improved performance of your vehicle not only in the current scenario, when the prices of fuel are touching the sky, but also when the prices are within your reach.